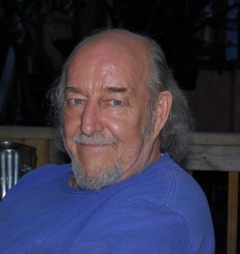 I just returned from the services for Gary Staiger- the long-time proprietor of Omega Music in the Santa Clara district on North Main- and as of a few weeks ago, in the Oregon District. Shiloh Church was packed. Poems were read- ones by Gary and others about him. The crowd was diverse- young, old, multi-ethnic, hippies, hipsters, judges and journalists, friends and family, and yet, everyone shared a bond for a simple shopkeeper- who would share his opinion at the drop of a hat. I first met Gary long ago- at Dayton City Commission meetings, where we both battled to get our voices heard in the allotted time. First it was the “Defensible space” plan for Five Oaks- then dealing with prostitutes on North Main- and over time, we became friends. He also wasn’t a big fan of the way the Montgomery County Democratic Party ran- and did what it took to get appointed a precinct captain- to try to effect change from the inside. Gary died on Thanksgiving day- he was found in his car on W. Third Street- people have guessed that he was trying to drive himself to the VA. The stress of moving the shop and dealing with the City of Dayton and the outcome of the last election were probably contributing factors to his recent medical issues. He had told me that he now understood why people grumble so much about the city and its treatment of small business. My guess is that different standards apply in the Oregon District compared to N. Main Street. He said he was going to write about it- after he made it through Christmas. Now the question will be if his store will make it with his kids in charge. His knowledge of music and collectibles was encyclopedic- and that will be missed. He also put together killer play lists for the bi-annual solstice parties on Cherry Drive. But, his idea of a locally owned music store will only make it if we all make the effort to stop in and buy music the old fashioned way. So this holiday season- at least give Omega a stop on your gift-giving rounds- and see if you get a wave of nostalgia digging through the bins. Gary wasn’t from Dayton- but he’d adopted it as home. He touched a lot of people here- and will be missed. I wish I could say this is one of my better posts- but, I’m still having a hard time putting this all in perspective. 62 is too early to check out. But, if there is a heaven, and they have music playing- they just got one hell of a DJ. That terrible! I met him a few weeks ago, in his store’s new location. Just chatted about music for five minutes or so; he was friendly, crotchety and opinionated in exactly the way I want my old record store guys. A local, independent record store that promotes local music in the city’s premiere “arts and entertainment district” is pretty much essential, and if the city has any vision at all for the OD they should have been delighted–thrilled–that they were moving into the gaping hole left by the place that closed last year. If he was getting the runaround—yeesh. What can you say? Condolences to his family; I very much hope (for admittedly partially selfish reasons) they keep the store going. I never met Gary Staiger, or at least I didn’t know him if I met him. I did know Omega Music, though. I used to be a big music fan, a collector, and Omega had some rare vinyl from the 1960s and 1970s pyschedelia, British R&B, and country rock, including Quicksilver Messenger Service, Black Oak Arkanas and Savoy Browne. A visit to Omega to browse the bins and maybe buy a find used to be a feature of my early weekends here in Dayton, after moving here from Califas. It was only later that I discovered Gary Staiger the politico, via his blog. It was refreshing to find a somewhat kindred spirit, politically speaking, here in this valhalla of Right Wing America. Doubly cool to find out Gary Steiger the lefty blogger was also the man behind Omega Music. David, I join the other commentators here in thanking you for that great obituary and in offering condolences to his family. Gary Steiger will be missed. David, I borrowed your picture of Gary and printed it here http://daytonos.com/?p=9751 — along with comments Gary made on his website in 2008 urging his fellow Democrats to “Get Off Their Asses” and begin to show strong opposition to the Iraq War. I’m wishing I would have made the effort to go to Gary’s funeral. He deserves a lot of appreciation. Sorry to see this. I knew Gary way back in the early 1970s. If you go to Youtube and look up “Vietnam Veterans throwing medals” you will see the young Gary throwing his medals over the fence while John Kerry is in line close behind him to do so also. This was at the massive April 23, 1971 march on Washington, I was there also. Gary was very active in Vietnam Veterans Against the War activities at that time. In 1979, Gary, along with my dad Lou Renfrow, and African-American community activist Clarence Dabney started a Dayton Veterans group called the Veterans Coalition for Peace. Sorry to see he was having a rough time of it prior to his passing. I can relate as I am reaching his age when he died this year, as I was a few years younger. i was shocked and surprised to hear about gary.i first met him at a regional vvaw meeting at the cincinati vvaw house in cincinati’s over the rhine. he will be missed. sonny williams,vvaw- contact center.